The Gifted on FOX: Cancelled or Renewed for Season Three? Which group of mutants will prevail? Has The Gifted TV show been cancelled or renewed for a third season on FOX? The television vulture is watching for the latest cancellation and renewal news, so this page is the place to track the status of The Gifted, season three. Bookmark it, or subscribe for the latest updates. Remember, the television vulture is watching your shows. Are you? Airing on the FOX television network, The Gifted stars Stephen Moyer, Amy Acker, Sean Teale, Jamie Chung, Coby Bell, Emma Dumont, Blair Redford, Natalie Alyn Lind, Percy Hynes White, Skyler Samuels, and Grace Byers. Based on a Marvel Comics alternate timeline, the show follows two ordinary parents with mutant children who go on the run from the government and join an underground community of mutants. In season two, several mutants have left the group to join the Inner Circle and the two groups conflict due to having very extreme and different ideologies. 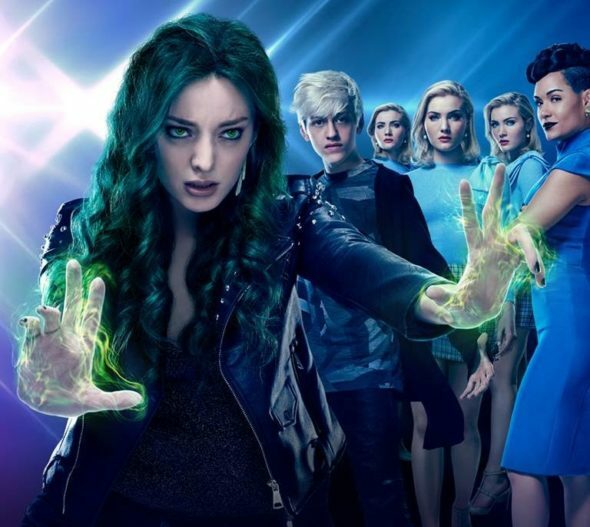 The second season of The Gifted on FOX averaged a 0.59 rating in the 18-49 demographic and 1.95 million viewers. Compared to season one, that’s down by 41% and 41%, respectively. Find out how The Gifted stacks up against the other FOX TV shows. On April 18, 2019, The Gifted was cancelled. Could it come back someday? Stay tuned for further updates. Will FOX cancel or renew The Gifted for season three? The ratings dropped quite low so I can’t see this series being renewed. I’ll update this page with breaking developments. Subscribe for free cancellation and renewal alerts for The Gifted. 4/18/2019 Status Update: The Gifted TV show has been cancelled by FOX. Details here. TV show ratings are still important. Follow The Gifted weekly ups and downs. Check the rankings for all of the current FOX TV shows. Find more The Gifted TV series news or other FOX TV show news. Explore the FOX status page and other TV show status pages. What do you think? Did you hope The Gifted TV show would be renewed for a third season? How do you feel now that FOX has cancelled this TV series, instead? 9-1-1 on FOX: Cancelled or Renewed for Season Three? Bob’s Burgers: Is the FOX TV Series Cancelled or Renewed for Season 10? Hell’s Kitchen: Cancelled or Renewed for Season 19 on FOX? The Cool Kids on FOX: Cancelled or Renewed for Season Two? Rel: Is the FOX TV Series Cancelled or Renewed for Season Two? The Orville: Is the FOX TV Series Cancelled or Renewed for Season Two? The Gifted: Is the FOX TV Series Cancelled or Renewed for Season Two? Phenoms on FOX: Cancelled or Renewed for Season Two? The Last Man on Earth: Cancelled or Renewed for Season Five? Love Connection: Cancelled or Renewed for Season Two on FOX? American Grit: Is the FOX TV Series Cancelled or Renewed for Season Three? Please do season 3 and more. I need to know how blink is still alive and where the portal was going. Also bring back reed and let him control his powers. I would love to see season 3. This show is one of my favourites its amazing has great characters and actors. I hope they do something to save it. I love this show and really hope they do everything possible to keep it going!!! I really hope The Gifted comes back for more seasons. I’m past the mentioned age group, but I do hope it’s renewed. Loved it, so different than all the boring reality shows. Please give us s3!We need to know where Blink was after she died so as more Polaris’ and Lauren’s storytime. Original and intriguing…. don’t give up ….it grows on you!